Versace launches a new perfume for women Pour Femme Dylan Blue with a stunning design to quickly catch the eye as well as to warm any woman’s heart. Versace is always delighting its wearers with intense, tempting and daring aromas as well as gorgeous feminine design. Pour Femme Dylan Blue is the counterpart to successful and handsome Dylan Blue Pour Homme. Versace Pour Femme Dylan Blue is described as a fruity/floral perfume mixed with woody notes composed by famous perfumer Calice Becker. This new innovative perfume with a beautiful design opens to impress with delicious top notes of blackcurrant sorbet, Granny Smith apple, peach ice along with floral accords of clover, forget-me-not, Shisolia, Eglantine rose, Petalia, Rosyfolia, and jasmine. The base seduces with woody notes made of musk, patchouli, styrax and woody notes. “The Versace pour femme Dylan Blue bottle is the expression of innovative design. Its elegant curves bring to mind an amphora, evoking Greek culture and mythology. The color of the bottle and packaging is as intense as the Mediterranean Sea: strong, deep and mysterious. 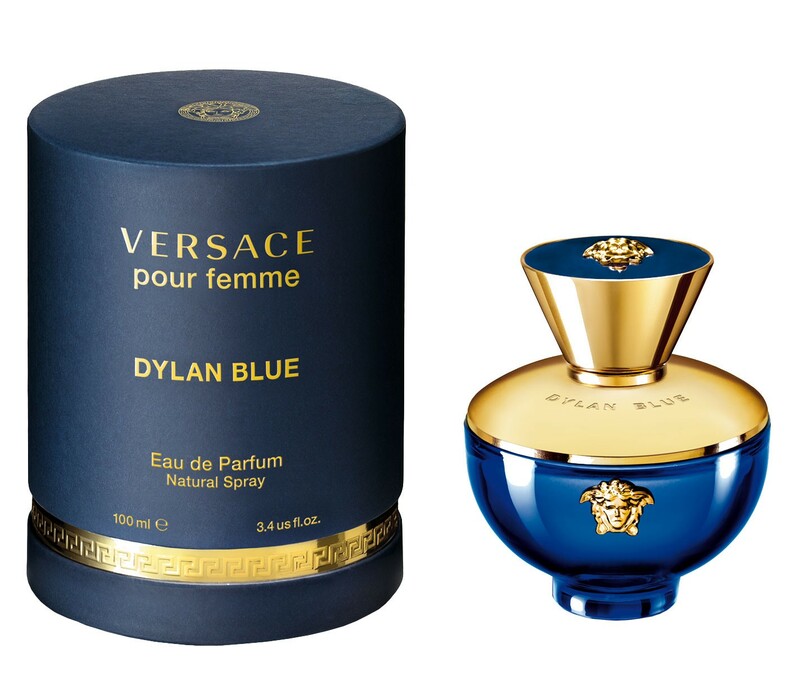 Versace Pour Femme Dylan Blue is available in 30, 50 and 100ml Eau de Parfum. Versace created a nice bottle design with an outstanding aroma. Versace did it as the counterpart to the masculine fragrance, and hope that the aroma inside has the same attention to details as the bottle indeed. Haven't tried it yet, but hope to love it and acquire it for the upcoming holidays. It will be a nice accessory on my winter shelves. Versace is always delighting its wearers with thrilling and worth fragrances, If you try it, you will definitely adore it as it is not too strong and overwhelming.